PDM Group of Institutions is equipped with sophisticated computer labs with more than 3200 high quality Intel Core i3/i5/i7/Cor2 Duo machines from HP/ Compaq/ IBM. Facilities like printers and scanners are provided in each and every computer lab.All computer labs are air-conditioned and are connected with 24 hrs. Internet facility with dedicated 245 Mbps 1:1 bandwidth from different ISPs to facilitate 24X7 access to the Internet. The Internet Connectivity with Campus wide are Networking enables access from anywhere within the college Campus. The Internet connectivity is extended to Hostels with Wi-Fi Connectivity. PDM has also set up an Apple iMac Lab that not only let the students develop different applications but also gives them the opportunity to sell their developed application over the Internet in every part of the world at no extra cost.  This means that the students can start earning from the day 1 as soon as they become the part of PDM fraternity.